This lathe is perfect for serious woodturners who want to turn large bowls, furniture pieces, and other large-diameter projects. 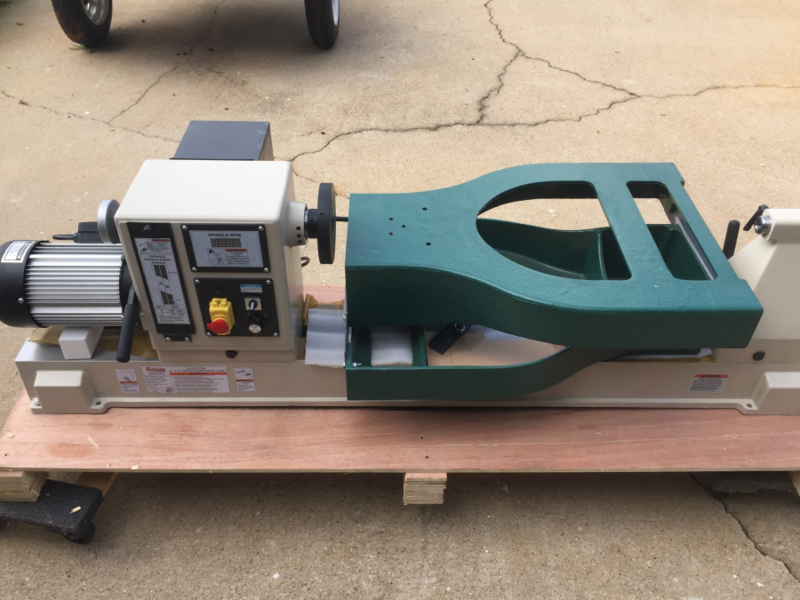 With 22" of swing, a heavy-duty 1-1/4" x 8 TPI RH spindle, electronic variable speed control, and a 3 HP, 3-phase motor that runs off single-phase power using a variable-frequency drive, this lathe has plenty of clearance and torque to easily rough-out big projects at low speeds. 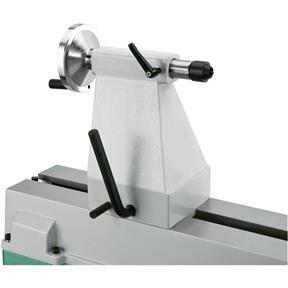 The heavy-duty cast-iron bed and stand make this lathe extremely stable, and the headstock can be positioned anywhere along the bed, giving you a wide range of control and flexibility with your projects. Check out all the great features below! 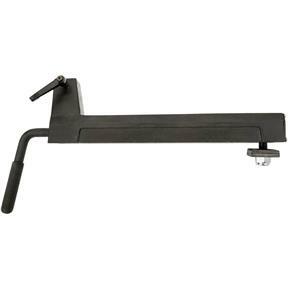 Swing over tool rest base (banjo): 18"
Swing over tool rest: 16"
Approximate shipping weight: 584 lbs. I have had this a few weeks now, runs very smoothly and is very easy to control the turning speed. It is heavy and can be a challenge to put together unless you have a couple of strong friends. I knew turning would be fun and challenging at the same time. Each different type of wood has its own behavior and even that changes from piece to piece. One thing that does not change though is the lathe itself. It turns smooth and consistent every time and the variable speed without playing games with numerous belt changes etc. is well worth the difference in cost. It seems to have an amazing amount of power and the weight of the unit makes it so much better when turning a bulky out of balance chunk of wood. One thing I would change though is I would have bought were larger lathe tools. I bought a set of standard sized turning tools. The carbides I bought are so much nicer with the added length of the handles. Next purchase will be a set with much longer handles. Lighting is an issue though, for me, so I've had to add a stand light and this increased my efficiency and end results. I'm surprised this is not a standard equipment item. Hats off to Grizzly for providing such a great product at a reasonable price! Very pleased with my new lathe, prompt shipping, well packaged, and an awesome 3HP machine. I purchased this lathe about 3 weeks ago to replace an older smaller Grizzly lathe. I am very satisfied with this lathe. Set up and assembly took about 2 hours. I had it for about a week but only used it about 2 hours so far but the power and precision are excellent. 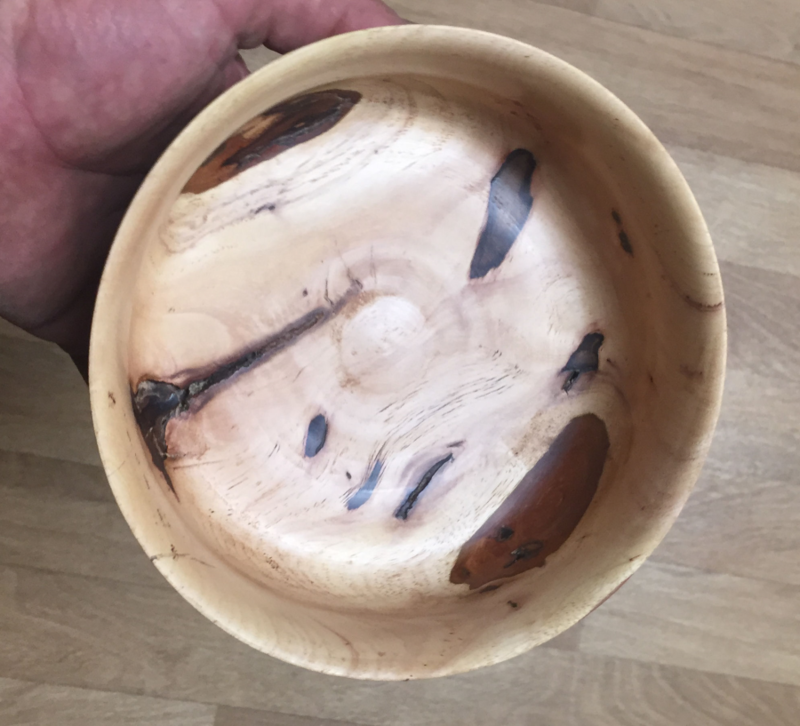 Every thing works as advertised and I am looking forward to getting back to turning larger bowls. The only complaint I have is their choice of UPS freight for the shipping. It took almost 2 weeks to get the lathe and I was told the delivery would be in 3 to 5 business days. It sat in Ohio for a week and I could not get a straight answer from UPS as to why. Then I had to drive 45 miles each way to their terminal to get it. I would recommend this lathe andI feel it is the best value for the money for a 3 hp lathe. I am new to wood turning and since I got this machine I have used it every day. Its well made, solid and a joy to work on. Good solid lathe, heavily built. The inverter and variable speed are really nice compared to stopping to switch belt and pulley arrangements. I'm 5'10" and find that this lathe sits a little high. I may look into shortening the legs a bit. The lathe has plenty of power and the variable speed is a important addition without having to constantly move belts. I am looking forward to doing larger and more intricate projects with this lathe. This is my third, and hopefully, last lathe. After learning to turn on an older, lighter unit, I needed something with a larger turning capacity. I also wanted to take advantage of modern speed control technology and get away from step-change pulleys. This lathe fit my needs and my budget. It's swing exceeds anything I've used in the past and the dial-in VFD speed control is a wood turner's dream. It has plenty of power down in the low range. 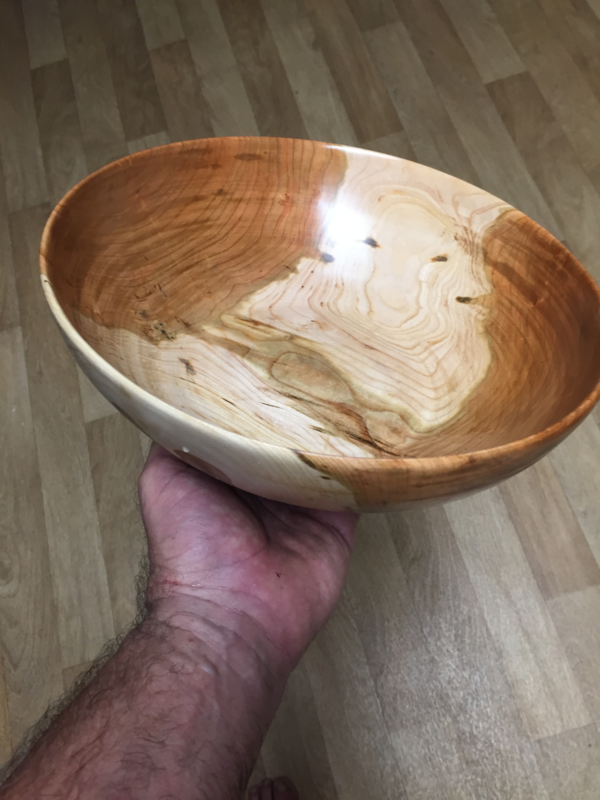 My first project was to spin a split limb into a bowl. 250 RPM roughing it down to a round blank, 1000 RPM to shape and rough out the interior, 2000 RPM to finish cut. The easy to adjust VFD speed control lets you push your stock to the max speed on the fly while avoiding vibration. Between that and the machine's overall weight, you get super-smooth cuts. Setup is easy and straightforward. Uncrate and it's ready to use in a couple of hours. No adjustments or calibration required, aside from the leveling feet. I've assembled and installed machine tools throughout my career and I know a few "one-man assembly" tricks, so I did the assembly by myself. Simple hand tools are all that's required. However, the two legs exceed 100 lbs each and the bed, without headstock or tailstock, exceeds that. Assembly will go faster with two people. The ground surfaces are protected with oil paper so there's no washing off cosmoline to slow you down. Wipe is down with a soft cloth and apply a little past wax to the bed. Two hours tops and you're ready to turn. Note the spindle size. The 1.25x8TPI spindle is larger than my existing accessory set, requiring the addition of the 1.25-to-1 inch adapter. If you're upsizing to this model, verify that your chuck and faceplates will fit or plan to purchase the $40 adapter. Not a big deal, but you will not want to wait for a second order to start using your lathe. My only caveat to this review is the tool height adjustment. I have used machines with a rack-and-pinion height adjust mechanism in the past. The lift-into-place tool rest took a little getting used to. While this wasn't unexpected, I frequently think it would be great of I could fine-tune the cutting tool's position. Overall, very happy with this machine. You will not find a better medium-class machine in this price range. I can't say how it would hold up to commercial use, but in the month that I've had mine, I've found nothing to complain about. Great backyard shop machine and, based on the size and features, very affordable. Ok first complaint the delivery I paid to have it brought to the house. Ended up taking it to the local Elevator to have them load it on my trailer. the truck had no way to turn the crate around to fit on my trailer. This cost me only five bucks. The 75 bucks was wasted. My tail stock shaft would hardly turn in and out. The handle was broke on unpacking the clip was no good.Some point going to turn a wooden one. I think they broke it at the factory turning the tail stock fully in. So took it apart and cleaned the threads then lubed put back together. This helped some . Tore it apart again and sanded the top of the key way slid it into the housing it stuck. Bought a Brake cylinder hone.After an hours work the shaft moves freely . The tool rest locking system is backward. It locks going down,so to move it you have to hold the handle while positioning this is a royal pain in the ? Another thing I wish the tail stock lock was on the front. I wish the threads in the drive shaft were easier to thread stuff on. Ok to stuff I liked. Loved how smooth the bed was. the tail stock slides easily. The infinate speeds is awesome smooth and constant. It was easy to assemble. Im truly pleased with this lathe to my dismay I didnt check to see if this lathe had a duplicated and it doesnt. Again this is a great machine but will not fit all my needs. Excellent piece of equipment and in my opinion well worth the price . I bought this lathe (first one) about six months ago. It finally arrived about 1.5 months ago and I love it. I attend a woodturning class/group and the lead instructor has a Powermatic. This lathe is not on the same level, but will do most of the same things the Powermatic will. The motor wines on lower speeds but just a little. I'm being picky. If someone else didn't write about the noise I wouldn't have really noticed it. The adjustment nobs for the banjo aren't as nice as the Powermatic but everything is pretty similar. Great quality, and I don't know how much better I would need...ever. Excellent piece of equipment. Solid and easy to use with lots of power. I have not had it long but I am very pleased with the lathe. This lathe is a beast! More power than I could ever ask for, at least for the type of work I do.. I highly recommend this for any intermediate turner or above, you wont regret it! Great lathe very easy to use and very smooth very happy with it, made this candle holder in about an hour. Had mine for about 2 months. I looked and researched for months and the G0766 is hands down the best value out there if you need a large powerful lathe. It comes securely crated,sets up in about an hour I set mine up myself but I'm a pretty big guy. I would recommend 2 people... its heavy! Smooth running ,quiet, all the power most people will ever need. One of the few purchases I have made that exceeded my expectations! Lathe was delivered to home by flat bed truck and forklifted into my garage. From there it took a few hours to undo crating material and reassemble in my woodshop. I did it with 2 people.. the headstock is alot beefier than anticipated. Plugged lathe in same day and loaded up a piece of wood. There are a few paint chips missing on lathe and def inverter whine when running but other than that it is as expected. Second log chucked up was a 40lb piece of off balanced mango. Lathe didnt budge. Glad i bought it.. I turn professionally and have written a book for Linden on turning. I teach turning and Im a certified Easy Wood Tools instructor. This machine arrived at he shop in western South Dakota, including delivery, just a hair under $2k, which I consider very affordable. It took an hour to unpack, assemble and get up and running. It is smooth as silk, totally stable and an absolute delight. The only tiny suggestion I have is a spindle lock instead of having to insert a pin. We have several other large Grizzly machines, and the company has been very easy to deal with, and very helpful and informed. This lathe has done everything I have asked it to do. Very pleased highly reccomend this lathe. As with all my Grizzly tools this lathe has been a great value and has functioned very well so far. When I decided to upgrade my lathe from the small cheap one I purchased a couple of years ago I looked at everything. I always seem to come back to Grizzly. My shop is mostly equipped with Grizzly tools. I can't say enough good about the tools I have purchased from Grizzly. The price point is very reasonable and the quality is always well above average. 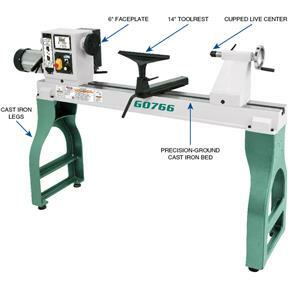 So when it came time to get a better lathe the Grizzly G0766 kept coming to the top of the list. The size of this machine is impressive (it took 4 guys to get it into my shop), the fit and finish was great, set-up was a breeze as well. I've only used it a few times so far but it has performed flawlessly. the machine was back-ordered at the time I placed my order but it shipped on the exact date it was promised and I actually received it a day earlier than expected. Any issues that may have been experienced earlier with electronic power converter were not present on mine. Bottom line, this is a rock solid lathe that will more than likely outlive me. I'm very happy with my decision and I would not hesitate to recommend this lathe to anyone. I have attached a picture of the new lathe (and the old one) in my shop! Nicely packaged, easy to put together, performs well. As I set it up I measured the banjo and it appears that Grizzly listened as the hole in the banjo measured 1.002" not 25mm. But the spindle was a hair to large to fit my Nova G3. So the small file came out and I shaved off that hair and the chuck fits perfectly now. Since March 15th I have turned several bowls from some nice maple burl that a friend gave me and some green maple bowls as well. This lathe is so smooth and powerful. I never felt comfortable in front of my other small lathe above about 1200 RPM. This machine I have had maxed out several times with no worries. I can see this lathe lasting a long time. Oh, and the crate this comes in has some really nice plywood on it. I couldn't resist on making a ballast box and cabinet. Now I am waiting for a small cyclone dust collector on back order... Need it soon of the shavings will pile up!! I bought the G0766 last month. It arrived in a crate in perfect condition. It was not missing any parts and went together with no problems. It runs great, is very smooth and is all the lathe I will ever need. Why pay over double to get the bigger name lathes when this does it all. Only suggestion would be to change the toolrest to standard full size 1 inch and offer accessory tool rests. can not revue at this time because the machine came to me with a defective part that is in the process of being replaced. I am disappointed that it was NOT check out before shipping, very discouraging after being excited for the purchase. I bought this lathe last month and so far and has been fantastic. Quiet and smooth operation, very heavy with no vibration, and no issues. With the help of a friend, I was able to put the lathe in my basement. We open the crate and carried the pieces down separately. The Motorhead was the heaviest. We could have used in dolly to go down the steps but we're able to handle it together. I also have a 12in Grizzly jointer that is phenomenal! Would definitely recommend this product and would purchase again. Bought this lathe to replace my 1980's Delta 12x36. Although my Delta was a great lathe it did not have the capacity I was needing. The G0766 fit the bill perfectly with 22" swing and 42" bed length. Three HP motor as well. Best Bang for the Buck IMHO! Can't see how the other imports can justify their increased price difference over this lathe. This is my first Grizzly and the quality is great. Next purchase will be one of their 17" band saws. I think this lathe is great value. I have not used it as much as I would like with it being so cold out. But am very happy with it. Wish they would bore the banjo to one inch though. I own several Grizzly products and have not been disappointed by any of them. Great value. I am a novice wood turner. I have been using a small 1/3 hp shop fox. I got the G0766 just before Christmas. It arrived in great shape. I assembled it myself. It is one quiet smooth running machine. No more bogging down on heavy cuts with this 3 hp motor. I think this lathe would serve any wood turner and is about 1/2 the price of competitive models with 3 hp motors. I was ready to move up to a full-size lathe and this fit the bill very nicely. The EVS is great; machine smooth and vibration free. Very happy with machine. This is my third lathe, and by far the best I could ever imagine. The power and weight is so smooth that I fine myself spending more time in the shop. The turning capacity is much greater than my old lathe, so I find myself trying to max out this one. Very happy with my purchase, and yes I would recommend it to a friend. I am 64 and it is the perfect height, there are reviews that say it is to tall, not for me! I came off a 12 harbor freight lathe and upgraded to this. I have never been so pleased! Head shaft and tail stock align perfectly. Everything is easy to set up and use. I had to change the plug to what is in my garage and we were up and running. The only thing that I havent done yet is drill the tool rest hole up to the standard 1 hole so I can use Standard tool rests. This is a lot of large for the price. You cant go wrong with this at all! I bought this product a year ago and have been happy with it. However, I needed a "S" shaped tool rest for turning bowls. I could not find one on the Grizzly site so contacted their customer service by email. They responded and told me that they did not offer this kind of tool rest and I needed to get it from another manufacturer. They also reminded me that the tool rest post must be 25mm, and 1" was too large. So, NO, I do not recommend this lathe for bowl turners. Grizzly does not offer a complete line of accessories and finding OEM accessories will likely prove to be difficult. My lathe arrived a couple weeks ago, UPS freight. I ordered lift gate service and the UPS guy brought it to the street and then rolled it up my driveway an into the garage. The lathe crate was in perfect condition and after unboxing, everything was in good shape. With the help of a friend, I got the lathe put together and in position. Turned it on and it ran so smooth!! no vibration at all. Turned one small project with no problems. Looking forward to starting some larger projects. One critique would be that the spec sheet says the tool rest has a 1 inch shaft... its not. Its 25mm. My Robust tool rests have a 25.4mm (1 inch) shafts and do not fit. I'll drill out the banjo with a 1 inch bit. It's only 0.4mm so no big deal to ream out. Just would be nice to have the spec sheet right. Overall, very happy. The lathe is great, lots of power and the variable speed makes life easy when turning natural edge bowls. The face plate was a little warped but customer service replaced it with no hassle. Very nice people to work with. I have had the Grizzly 17 inch extreme band saw now for about a year and use it almost daily and it is great also. Would recommend both. Enjoying getting back to wood turning after many years away. Seems to be a great lathe, and the digital speed control is fantastic. Read lots of reviews ahead of purchase, and wondered about the few negative comments. Looks like those were based on preferences and not the quality or functionality of the machine. Very quiet and extremely stable. Only issue I have had is that the included faceplate was the wrong thread size, but Grizzly is replacing it without hesitation. Highly recommend Grizzly and the G0766! The lathe seems to have plenty of power. The threading in the feet/base was poor. I had to "chase" 2 of them, why not make the tool rest hole 1" (25.4MM) instead of 25MM? I have to remove the tailstock, when I use my hollowing system, and that's a real joke, removing and re-installing that, thankfully I don't have to remove the tool rest banjo, it's even worse! My old lathe coasted quite a bit after it was turned off, this one stops almost immediately, not sure if that's a good or bad thing. Bottom line, if there's something comparable, for a little more money made somewhere other, than China, I'll spend the extra money! There wasn't a "MAYBE" under the "Would you recommend this product?" Already Ive turned bowls that were impossible before. I bought my new grizzly G0766 3hp lathe in Sept 2017. Have turned several large pieces with no problems. It was missing 1 locking lever on the banjo. Grizzly sent me a new one right away. Customer service was very helpful and friendly. Not being used to such a large lathe I placed my arm against the face plate and burned some skin..
More power, swing and length than I need. Perfect! I haven't had the opportunity to actually turn anything on the new lathe yet, but it is all set up and everything seems to be in perfect operational order. 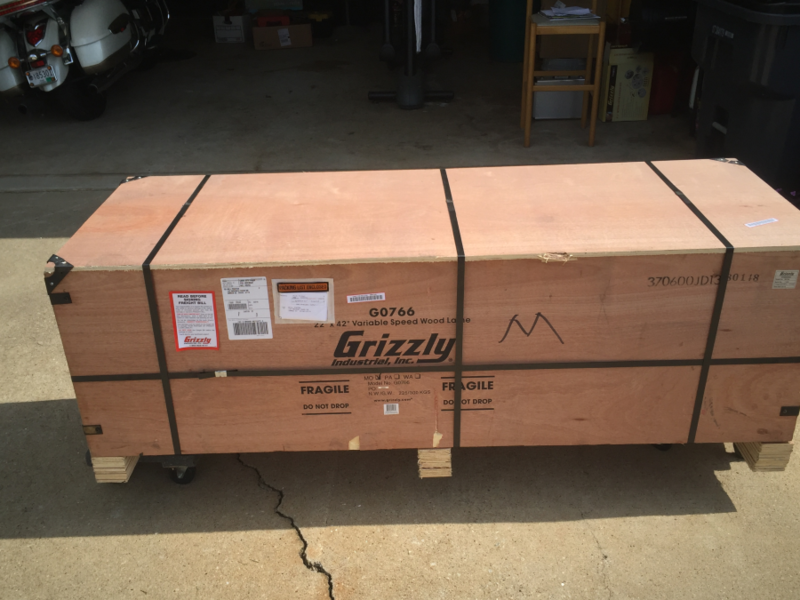 I also want to say that Grizzly always does a great job crating their products for shipment, and anytime I have had an issue, or question, their customer service staff was great! I look forward to many years of turning with my new lathe. I received my 766 in early September after being on back-order for several months. Grizzly made it worth my while to wait for it, and the product is everything it is reported to be and then some. Great value for the money, everything I'll ever need and thensome! I had researched different lathes to buy for over a year when I decided I needed an upgrade. I'm thrilled with my choice! 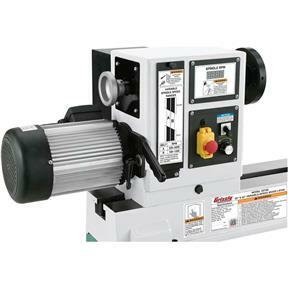 This lathe is less than half the price of the "Pro" models, but it is all you need. I am a "Pro" and this is all the lathe you need. lots of power and very smooth. The only thing I could ask for is to have the spindle lock but that is ok. You better have some help to set it up. Amazing lathe. Sturdy and well built. I've had no issues other than a few paint chips. I purchased my G0766 in mid February. I started turning with a mini lathe I received as a Christmas Gift 5 or 6 years ago. Turned some pens and small bowls. As with most turners, I got hooked. I was building a 5 leg table for a friend, and had to have more spindle length, so I purchased a HF lathe to turn those legs. I used it for about 3 years, turning more bowls and a couple of hollow forms. However, with the 12" swing and low horsepower, I was very limited in choices of what to turn. 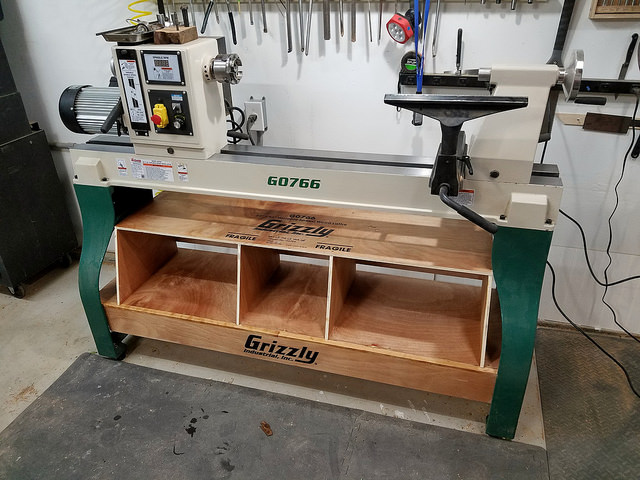 I finally decided to upgrade to a real lathe, and purchased my Grizzly. So far, I love it. Unlike my previous two machines, this one has as much power as I think I will ever need. I have turned several items on this lathe, and it has performed extremely well. I would not hesitate to recommend this to a friend, family member, or anyone else who was interested. My only complaints are the banjo should have a 1" hole for tool rest instead of the 25mm hole, and I also had to file the spindle down behind the threads so my chucks would register against the spindle shoulder. Both minor fixes. Just now have it set up and begin first bowl turn. Great so far. Yes the lathe is excellent but you need to provide more tool rest options, I tried to purchase a curved tool rest but was told you did not carry any for my lathe. This lathe came quickly after ordering and well pack. I paid for lift gate service and it was worth it. This machine is heavy! Did not take long to assembly. I have only been turning for a few years and have had a vintage lathe, but after lots of research I think this is the best deal for the money for sure! It runs very nice and quiet. The variable speed is very nice to use. I see using this Lathe for years to come and not out growing it in my life time. Thank You Grizzly! I took delivery of my new G0766 two months ago and have been delighted with it from the moment I opened the shipping crate. The unit was well packed and arrived in perfect condition. It was very easy to assemble, requiring only assembling the legs to the bed ways and assembling the banjo to the ways. It has performed flawlessly for the two months I've owned it and shows no indication of future problems. I've read other reviews talking about a "dog whistle" sound at some settings but although it does make some noise typical of solid state VFD's, I certainly do not find it objectionable. My only criticism is the lack of accessories available from Grizzly. A selection of tool rests in various sizes and configuration would finish this package off perfectly, in my opinion. That being said, it is simple enough to weld up what I require. If I had the opportunity to revisit my purchase decision, I would buy this lathe again without hesitation. I can't say enough good things about this lathe. Overall, an excellent machine. Shipment was delivered in excellent time. I turn a number of birch burls. It has handled everything I have put on. Why they have a 25 mm post instead of one inch is a concern. I am very please with this lathe , After I worked for a couple weeks I realize how convenient is the reverse speed when you are turning a bowl in the oposite side over a difficult position you have to adopt on a regular lathe. I was originally going to purchase a Leguna but after considerable research decided to go with Grizzly. I've ran this lathe for about 3 months. 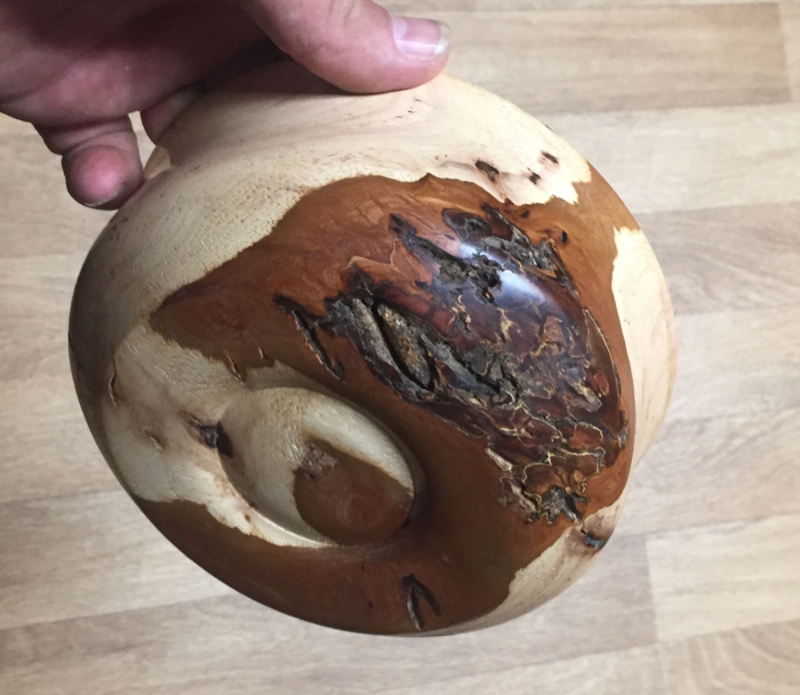 Turned bowls up to 15 inches and spindle projects. I'm impressed with the speed control, weight and balance of the machine, and it's overall "heft". You would struggle to find this size of machine with its performance elsewhere. Very glad I decided on the Grizzly G0766!!! This is my first Grizzly purchase and certainly not my last. I love this lathe, there were a few "issues" at first, but Grizzly support was great at working with me to resolve them. I have had issues with finding metric tool rests, but was able to have a local machine shop create me an adapter so now all standard 14-16" tool rests now fit! That is the only thing I would improve on this machine. Bottom line for the price you can't go wrong save the extra 1.5k for other tools, you won't be disappointed. I would purchase again with no hesitations. I have had this thing for about a year, and love it. It replaced an old Rockwell/Delta 12x36 and I love the extra capacity, that was the main reason I bought it, but sure don't regret it. I am extremely happy with my new lathe. I was very happy to find out that many of the "faults" that were mentioned in previous reviews had been addressed by Grizzly and "fixed". A great lathe at a great price. I've had this lathe for about 3 months now. I don't ever see myself need a bigger lathe or needing more power. Everything works for me, like the fact it's taller then most lathes. I do a lot of big burl turnings and the 0766 handles them very nicely. I love the varriable frequency drive and reverse features. I've turned out 30 bowls so far with no issues or complaints. I do like my lathe have never enjjoyed anything so much. Yep it will go to zero but stops turning around 67-70 rpms. I am very pleased with this lathe. It easily compares to Powermatic and Robust products. I studied the options for months and finally chose the G0766. It is smooth and powerful. The only suggestion I would have would be to make the tool rest post a standard 1". I solved that issue by ordering some 25mm bar stock and adapting my other tool rests. This a great lathe. I am very impressed and pleased with This machine,from the customer service to the price of this three and a half horse motor which is very quiet and the six hundred pound weight means it has no vibration and with a 42 inch bed makes it long enough to turn table legs to the 22 inch center that makes it the perfect machine for turning lamps and bowls.this will be the last lath i own and would highly recommend this machine to anyone. I purchased this lathe because the one I had didn&#39;t have variable speed, and I love the variable speed this lathe has. Great product. I have turned a lot of bowls on this lathe and it performs great it still runs vibration free just like the day I bought it I love this lathe and would recommend it everyone The only thing I had a problem with was the feet but I took them off and cut four pieces of rubber mat to go where the feet go one each and this made it stable and fixed the problem easy fix. Purchased this lathe about a month ago as (hopefully) my last upgrade lathe. After using a mid-lathe the difference between this and the midi would be like comparing apples & oranges, so I'll just list the pro's & con's. Pro's: as much (if not more) power as I forsee me needing in the foreseeable future. Have thrown very hard dry ironwood of about 14" and the motor just kept asking for more. Largest piece so far was an 18" x 20" piece of pecan turned into a vase again, no problem. Some have said the center is too high; however, at 6'1" and a 32 inseam, the center is exactly at my elbow so I'm really not sure what the fuss is about. Weight of the stock unit is "ok" but with unbalanced loads I could see it wanting to travel across the shop - I have room in my shop, so it's bolted down eliminating this issue (others may need to put on a shelf w/sandbags etc). Setup, good documentation, easy assembly (will definitely want a second person to help lift during assembly). Con: really wish Grizzly would offer an upgrade to a 1" post on banjo so we can use "off the shelf rests". Easy enough to fix w/1" reamer, but shouldn't have to do this - wouldn't be so bad if Grizzly offered more rests that fit. All in all, even though the banjo issue is a pain, being a third of the price if PM/Airplane brands I'd do it all over again and would highly recommend to anyone on a limited budget. I have read that there is a hum or whining sound at low RPM what is your experience.. I have had mine since January 2016, thus far I think it's a fine lathe. It came with a bad speed POT that Grizzle fixed no problems with very fast shipping. Solid machine, well constructed, everything they say it is it is. The spec says it turns down to 100rpm but mine turns down much less on its way to 0rpm. Motor inverter has a dog whistle sound between 200rpm and 1000rpm, not bad, but it exists. 1) Bolt from tail stock to long, so the tail stock cannot simply be slid off the unit,. not something easy to find in the USA. I would recommend this unit, ton of machine for the money! Touch more QC from Grizzly and 5 star unit. I am a disabled Marine Corps combat veteran of Iraqi Freedom and being unable to work I am on a MINUSCULE budget. I have been trying to build a shop with which I can make money for the passed 7 years and after years of turning on a HF 12" x 36" lathe I was finally able to afford a new, larger, more powerful lathe. 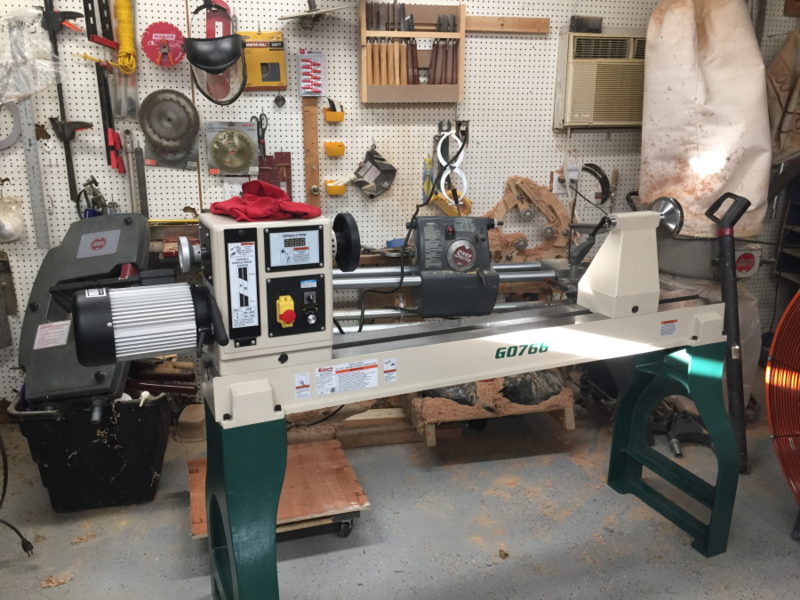 In the year prior to my purchase I saw the G0766 in the 2015 catalog when it arrived at my house at the beginning of the year and I was ecstatic and the price and its size fueled a great deal of that excitement as it is far more affordable than other lathes... Who has $7500 for a 24" x 48" wood lathe? When Grizzly had the 15% off coupon for active service members and veterans I jumped on the opportunity to purchase this lathe and I have not regretted it once since. The G0766 is certainly NOT lacking power and having the Variable Frequency Drive helps out a great deal if you are like me and cannot afford a 3-phase power converter or have 3-phase installed. Right away I could tell that my days of taking HOURS to turn pieces, that should take only minutes, were over. I have turned a wide variety of projects on my lathe from small treens (turned lidded boxes) up to 20" wide by 36" tall solid, Maple table lamps and large Wenge floor lamps. The G0766 eats it all and never stalls. With the G0766 you are going to get professional lathe features at hobbyist lathe prices, an undeniable and fantastic fact. 1.) The indexed spindle: This makes carving or routing on the lathe a breeze and it also helps tremendously when removing and switching between different types of chucks. 2.) Reversible Spindle: I do a TON of spindle work with exotic woods with in my table, desk and floor lamp making, some are very demanding woods with finicky grain patterns to say the least and being able to put my lathe in reverse and sand makes short work of this otherwise mundane task. I have also found that being able to reverse and stand on the opposite side of the normal operator's position also offers the ability to get into precarious places and features on my turnings that are not possible with other lathes. 3.) The Sliding Headstock: Having the option to move my work to the end of the lathe when I need to turn a table top or bowl that is larger than 22" is an incredible feature and gives this lathe and its operator great advantage over comparable lathes in the same range which feature fixed headstocks (ie Oneway). 4.) 3/8" Lamp Auger Hole Through Tailstock: Because I make table and floor lamps, being able to do deep boring while turning between centers is ESSENTIAL to producing accurate, high quality work. I will say that MY lathe did need some improvement and that the 3/8" bore was undersized, this forced me to machine the tailstock bore myself which I was not happy about as it caused me a tremendous amount of frustrations and missed work time while I searched to find a solution for the problem. I will say, however, that for the price that is a nearly negligible flaw. 5.) Solid Cast Bed and Legs: Grizzly did not skimp on material when it came to the engineering and production of the G0766, the solid, thick and heavy cast bed provides more than ample anti torque prowess yielding smooth, powerful and accurate work holding capability. 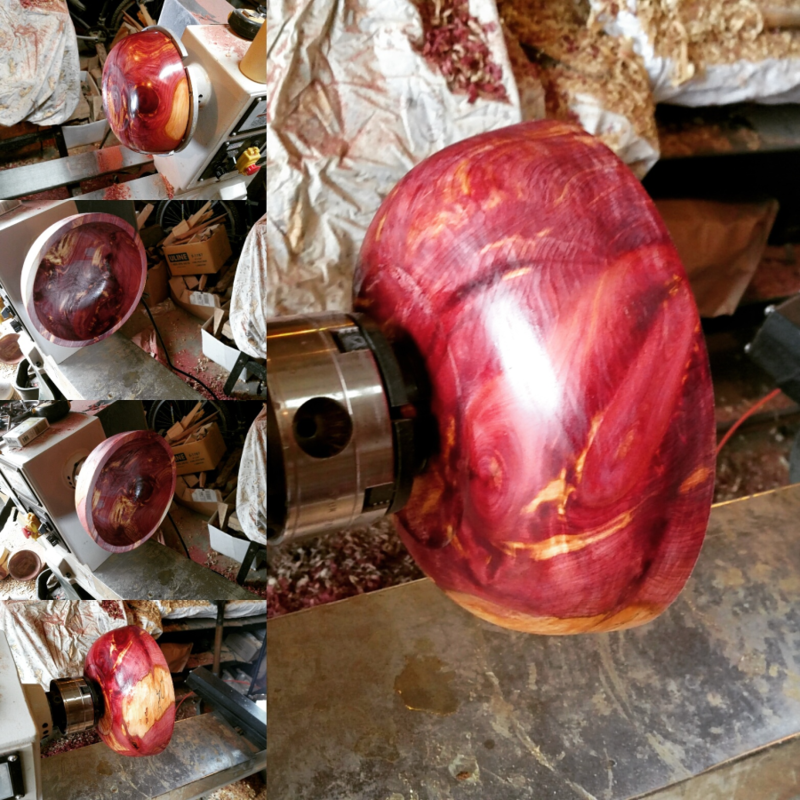 I have worked with large balanced spindles blanks up to 20" in diameter and large, unbalanced Eastern Red Cedar bowl blanks and the G0766 took it all in stride, no chatter, flex or rattling or walking itself across the shop floor, the heavy cast legs and bed provided a solid base on which to turn. 6.) Quick Change Between RPM Ranges: Grizzly masterfully engineered the spindle pulley arrangement and headstock casting in a fashion that makes changing from high torque to high speed ranges a process that only takes seconds. In their infinite, innovative wisdom Grizzly chose to place the access cover on the front of the lathe which prevents a ton of hassle for the operator. No walking around to the other side of the lathe, having to go on a bear hunt (can't go over it, can't go through it, can't go around it, can't go under it) if you have your lathe in a small workshop, like in my situation, 1/2 of a 2-car garage. 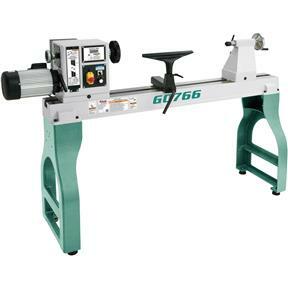 Needless to say it is a significant improvement over competing lathes in the G0766's size/range. 7.) Variable Speed Motor: Having this feature makes finding a speed that suits your work or needs on a particular feature an enjoyable task; the motor is fast, responsive and does not lack for power at any speed. If you have worked with other lathes that require changing the belt over on stepped pulleys you know how inconvenient and frustrating that can be, you get one end of the belt over, then the other end wont come over, slipping, pinching your fingers, often cramped spaces in which to complete the task, its a real hassle... not so with the G0766, just turn the dial and spend more time turning instead of fooling around with belts, stepped pulleys or levers. 8.) Heavy Duty Steel Motor Lever: Having this rigid, sturdy beast of a lever to hoist the somewhat heavy motor upwards while changing pulleys is a great help and definitely helps make the process fast, easy and enjoyable. 1.) A 50" Bed Extension with Extra Leg: I turn large pieces but lately I find myself with the opportunity to turn columns, decorative and structural. The one thing I was sincerely hoping to see Grizzly incorporate into the design, manufacturing and options for this lathe is a bed extension. At first I looked into the parts manual to see if it was possible to simply purchase a bed and single leg alone but of all of the parts one CAN purchase, those two are specifically unavailable. 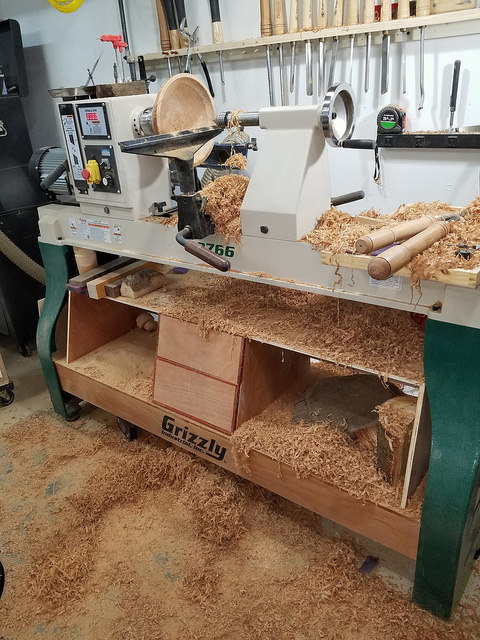 A few months ago I spoke with someone at Grizzly and asked if they were going to be producing an outboard turning and bed extension that will attach to the legs and bed, respectively, as they already have holes bored into the legs and ends of the bed... The answer was "no" and I have to tell you I was incredibly disappointed. I certainly don't want to have to go to those who shall not be named (P------tic) just to find a lathe that will suit my turning needs. I feel that Grizzly is really missing out on an EXTREMELY important part of the machine market, which is upgrades, feature upgrades and options that expand the capabilities of their machines, specifically, in this case, the G0766. Now many would say, "Well, for this price you could just buy a second lathe and have a spare leg and headstock/motor/VFD etc on hand..." and while that SOUNDS like an attractive idea, I would rather not spend $1600 to get $800-$1000 of parts. I have talked with a lot of other professional woodturners and fellow owners of the G0766 and they have expressed this sentiment as well. 2.) Do away with the plastic locking handles: Of all of the most important places not to skimp on material, the locking handles is certainly not one of those and I have had plenty of experience with stripped out plastic locking levers/handles on quills, banjos and motors. 3.) Change the Tool Rest Locking Mechanism: Having a single screw though a tapped hole in the banjo to tighten and hold the tool rest into position is a feature I expect from smaller lathes such as a 12" x 36" or benchtop lathe but on this machine it is DEFINITELY out of place. I would like to see a double-wedge mechanism with a beefy cast locking lever and screw. Would adding this feature make the price for this lathe go up proportionally? Yes and I would gladly pay the money. It is possible, however, that Grizzly is not comfortable with this mechanism as it may push the lathe into a price point in which they feel they could not sell the lathe as easily, and I completely understand that, but for a lathe of this magnitude and power that allows its owner to turn much larger pieces it needs the holding power. While I do have a list of features that I would like to see improved or options offered I still stand by giving this lathe a 5 star rating. 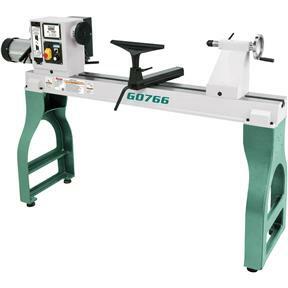 Even with these short comings the G0766 outperforms and "outprices" its competitors of similar size and power; this lathe is in NO WAY an amateur, hobby lathe, it packs serious punch and is not afraid to turn whatever you put on it. It is not a shy beast by any means, after all, it is a Grizzly and given the last decade it is what we all have come to expect from this company. I purchased my G0766 in January 2016. I had the Grizzly 1495 before that. The lowest speed I could get to was in the 500rpm area. That was too fast for rough turning a bowl. That was why I looked into the G0766. The old lathe would only do a 12" bowl this will do 22", that alone was a fantastic plus. When I got the lathe I turned out several rough bowls and did not notice any problems, however when I went to finish a previously rough turned bowl I could not keep the bowl from wobbling. I finally noticed the shaft was not true. When I put my spur drive in and ran the tail stock up to it the spur drive turned a small but noticeable circle around the tail stock. That translated to a much bigger issue when turning a 12" or greater diameter project. I had to send the power head back to be repaired. I believe they fixed it the very day it came in and called me back almost immediately. With shipping figured in I had the lathe back in about 10 days from the day I sent it out. The service in the repair department was great. Long term life...I have high hopes, but we shall see. With the replaced shaft in place the lathe works exceptionally. I just wish they had better quality control over the item when it went out initially. So over all good bang for the buck.